Fa Jing is in some ways a complex and difficult subject, however there are certain basics common to all forms: The Fa Jing 'Shake' and later the tailbone tuck. 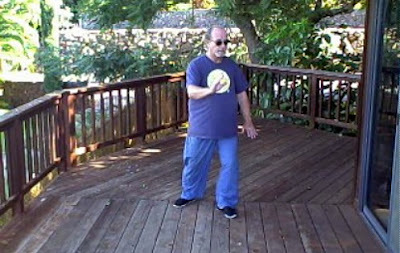 In the above example using the Brush Knee movement of Yang Tai Ji, it starts in with Kua of the rooted leg (left front) being closed. 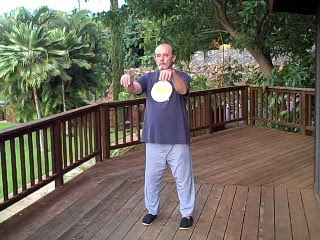 From there the hips snap laterally to the right (opening the Kua) and then back to the left (closing it) as the Jing is emitted. We shall discuss the applications of the 'tailbone tuck' in a future post. ***Use caution with this method as it gives very little room for forgiveness if done incorrectly. The tremendous amount of torque generated can cause instant injury if the power does not leave the body and instead gets trapped somewhere inside. Once we have mastered opening and closing the joints individually, in combination and finally in whole body movement we move on to the stage known as Pulsing the Joints. This method has many health and martial arts benefits having to do with the increase and freer movement of the synovial fluid. Go to the end of any posture, say Double-hand Wardoff, Press, Push, Lift Hands, Crane Spreads Wings or Single Whip for example. (Closing/Compressing) While maintaining the basic frame or posture inhale and sequentially or simultaneously close/compress the joints (and spine) and stretch everything inward to the center. The body slightly contracts from all directions. (Opening/Expanding) Exhale and open/expand the joints (and spine) while stretching everything from the center out to the extremities, allowing the entire body to slightly expand in all directions. Although this practice is physical at the beginning and at first you usually feel stiff, gradually your perception will hone in on just which tissues to use and you will leave more and more muscles relaxed. Note – This is like learning any new physical task. At first we use many more muscles than necessary to perform the movement. But gradually over many, many repetitions we learn to use only the specific muscles required and leave the rest relaxed. Toes coordinated with fingers, feet with hands, ankles with wrists, knees with elbows, hips with shoulders, shoulder blades with spine/sacrum/tailbone to Dan Tien/Ming Men. Dan Tien/Ming Men to shoulder blades coordinated with spine/sacrum/tailbone, hips with shoulders, knees with elbows, feet with hands, fingers with toes. At the preliminary level these must be felt sequentially going in and out of the center (telescoping or “snaking”) but later as all this becomes subconscious it will be felt to occur simultaneously. This leads to the exercise of pulsing the joints. Closing – From the tips of the extremities into Dan Tien. Opening – From Dan Tien out to the tips of the extremities. This exercise entails simultaneously closing and opening the joints in each posture adhering the law of the six harmonies. First work through the single basic coordinations one at a time. Let’s use Brush Knee as an example. On the first repetition only concentrate on shoulder-hip connection, the second pass, elbow and knee and so forth. 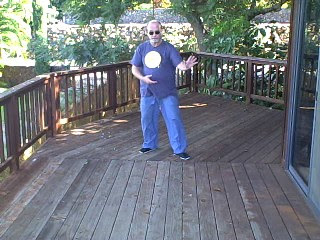 Next, work on the multiple combinations such as elbows-knees and ankles-wrists. Finally combine everything together in a single movement linking sequence. 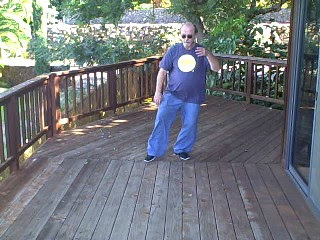 Originally Tai Ji was learned by standing in the individual postures before any movement was shown. 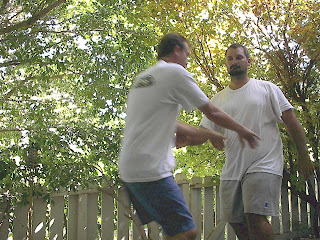 The Double Wardoff (Peng) Rollback (Lu) Press (Ji) Push (An) and Single Whip (Dan Bien were traditionally emphasized. Assume the correct alignment for the end or beginning of a posture or transition and then just relax as much as possible while maintaining your alignments. Search for ways to relax more and more of the muscles, first the muscle bellies and later also the attachments. This latter perception leads very naturally into Releasing the Joints which is a necessary requisite for their Opening and Closing. Remember to stay within your own limits at the time of each practice. (These can often vary considerably from day to day.) Allow the overall posture therefore to be smaller or larger, higher or lower accordingly. 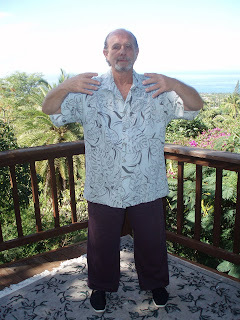 The idea of hardwiring practice is to link each part of the body to the Dan Tien. Eventually the Dan Tien becomes a control/dimmer switch for the entire body’s movement throughout each individual posture and transition. Note – All levels are best exercised first using single forms repetition practice. Practice each separate movement repetitively, concentrating on the particular aspect you select then do the same for each transition. 4 Basic Areas and Stages of Physical Concentration. 2. Opening and Closing the Joints. 4. Twisting, Wrapping and Spiraling Sinews and Tissues. Eventually Opening and Closing the Joints and Stretching and Spiraling the Tissues become one simultaneous, cohesive movement executed within the correct alignment of each posture’s Frame. 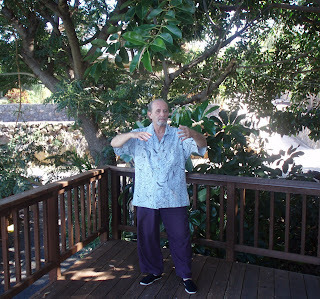 Although normally used to train advanced martial art applications, the small circle method of Yang Tai Chi can also be practiced to promote healing of injuries. This video explains how to tailor and modify one version of the Yang Cheng Fu form to assist in repairing and strengthening injured tissue. Yin Peng can only be approached after investing serious time in thoroughly mastering the physical aspects of training, collectively known as Yang Peng—the basic level of Sung—the elasticity of the physical body. Step 1 involves ‘hardwiring’ the basic postural alignments. Step 2 integrates the method of opening and closing all the joints. Step 3 entails the stretching all the tissue of the body—from the center to the extremities during opening and from the extremities to the center while closing. Step 4 adding to step 3, all the tissues are now spiraled (twisted, wrapped) around the bones from the Yang to the Yin surfaces while closing and then from Yin to Yang surfaces while opening. Step 5 necessitates achieving conscious awareness of the bones and at the highest level the bone marrow, spinal cord and brain tissues. This step becomes the bridge between the physical methods and purely energetic practices necessary to implement Shen Force. By mastering the five physical steps we achieve ‘frame’ and a certain degree of Sung. This becomes the foundation for establishing a solid sense of Central Equilibrium during gathering and issuing . Only when all these basic connections and movements are programmed thoroughly enough to enter the subconscious and become reflexive habit are we ready to discover Yin Peng. This is a compilation of methods ranging from the external (Yang) to the internal (Yin). 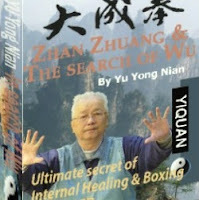 Elements of Yang Style Tai Ji and Yiquan are featured. Contains some explanation and original background music. Different people practice different forms of exercise depending on their health and ability. But of all these inummerable methods only one is truly suitable for all people regardless of their condition and that is -- Zhan Zhuang, standing meditation. The reason for this is that even strenous practice of standing meditation does not put undue pressure on the heart and lungs as other more active forms of exercise or sports clearly do. This is a bold statement but it is backed up with hard scientific research and testing. This data is available in Dr. Yu Yong Nian's new ebook - Zhan Zhuang and the Search of Wu. (Translated into English) At age 87, Dr. Yu is Wang Xiang Zhai's last living disciple. In these turbulent times, people everywhere are seeking to combat the increased stress and general malaise that lead to so many unhealthy conditions of both body and mind. As one, who of necessity, has personally researched hundreds of methods in this regard, I’ve found none to compare to the excellent simplicity and overall benefit of what the Chinese call Zhan Zhuang or The Therapeutic Standing Exercises... What do you think?